Such a cute gift card!!! I “like” you on Facebook!!! That is one cute giftcard! Thanks for the chance to win it! I have been to Target 2 days in a row. I need a gift card. I don’t want to even admit how much I”ve spent at Target so far this Christmas season…. bring on the post-Christmas clearance sale! Love this! 🙂 I could use a gift card, that’s for sure! I liked TT on Facebook! This gift card is adorable! My son would love it. Would love a card and could use it for sure! Merry Christmas! This gift card is too cute!!!! Love Target & love your site!!! I’d love to go shopping at Target and not having to pay out of my pocket(ching-ching). Thanks for the opportunity. Would love to win one of the cute gift cards! Merry Christmas! Adorable card! Would love to win! Love the remote gift card!! I like totally target on facebook. Thanks for the great site and all the giveaways!!! Pick me! 🙂 Love your site! I already like you on FB. Thanks! I would love to win this card. I am always at target thanks to your great finds:)! Thanks for the great giveaway opportunities! I also like Totally Target on Facebook:)! I know persistence pays off. So, here I go entering once again in hopes of winning. Thanks!! 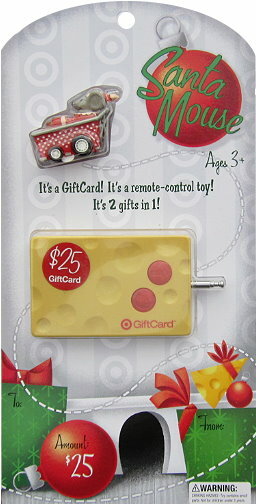 My kids know we will have our Christmas after Christmas Day this year so this giftcard would be very helpful! Thanks for the offer! I love your site! Happy Holidays! love Target. would love to win this. Happy Holidays. would love to win this. thanks for the giveaway, I love that you do this! I would LOVE to win this–so cute!! Thanks for the giveaway!!! I hope i WIN.